When you fail to get enough protein in your diet you risk losing muscle instead of fat. 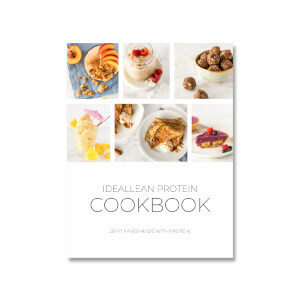 That’s why IdealLean Protein delivers 20g of the highest quality protein. It’s the perfect tool to help you increase lean muscle mass and reduce body fat, so that you can reach your fitness goals faster. 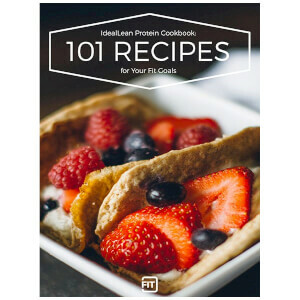 And because IdealLean Unflavored Protein is virtually tasteless, you can add it to your favorite foods without changing the flavor. Try it in recipes, smoothies, or even COOK with it for a higher-protein, nutritiously-complete meal. Instant Whey Protein Isolate, Micellar Casein, Cellulose Gum, Xantham Gum. This is a great way to add protein to anything! Has no flavor and mixes into every recipe I’ve tried easily! Love it!! So far, this is the protein I like best. I used it mostly for a copycat kodiak pancake mix, but also made banana bread and other baked goods. I am picky about texture, as protein powder will be similar to a kitchen sponge if cooked incorrectly, but this one worked perfectly every time. I love to mix this with other things, such as my meal-replacement shakes, since it does does not have a flavor that would mess up any other tastes. It gives any item I mix it with that extra boost of protein without causing the flavor to taste bad. I love it for mixing in to baking items as well. 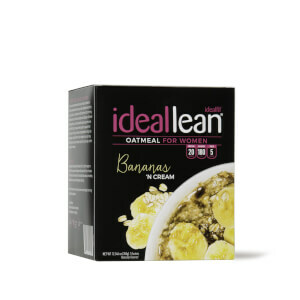 I really do think Ideallean protein is great, but I've decided that for me, I need the flavored ones. I purchased the unflavored multi-purpose type because they were out of vanilla, but found that I really need the flavor. It just needs too much help for me to eat it. 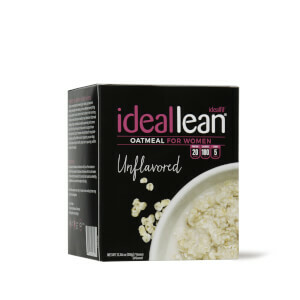 Tried it in oatmeal, and found it doesn't mix easily and was lumpy and gross. In a smoothie, it mixes without the lumps, but needs a lot of other elements to make it palatable. Love adding this to breakfast foods and no one complains because no one can taste it. I add protein everywhere I can because we just cant seem to get enough. I will buy this over and over! And no added fat and carbs - cant beat that! I love this unflavored powder. I use it in everything. It is perfect! Love this product! I add it to everything...salad dressing, avocado spread, all dips etc. I can't taste it at all and the only way it alters the food is that it makes it a little thicker (obviously). Definitely will buy again! It has a great texture and mixes well. I can't stand the 'unflavored' taste. Their is a flavoring to it and to me it smells faintly likes eggs ( I hate eggs). When you add it to anything you can still taste that flavor.I will still buy it because unlike other proteins it doesn't upset my stomach ( I don't have gallbladder). It does mix well into foods and drinks. I would order the flavored ones( which I've tried before) but they have sucralose and I don't use fake sugar. Plus you can't cook with the flavored ones because of the sucralose. I'm allergic to the vegan, so I'm stuck with the unflavored.